Are you ever forced to cut your heavy sets short because you just can’t hold the weight any longer? Well, you’re only as strong as your weakest link, and your ability to maximally develop your large muscle groups hinges on your ability to hold the weight. You can strengthen these muscles with some isolation exercises that focus on them such as plate pinches, wrist curls, and hand gripper tools but progress is slow and you can find yourself being held back by a lack of progress there. That’s why you need to look into buying a set of Versa Gripps. This versatile and easy-to-use lifting aid utilizes patented technology to assist you in overcoming your bodies wrist and hand limitations. They’ll help you stay more focused on the major muscle group you’re working, and spend less time worrying about if your grip can make it through another rep. This is a huge advantage, the mind/muscle connection effect that increased concentration allows you will provide benefits above and beyond simply those of being able to hold the weight longer. Lifting gloves can provide somewhat better grip, but they are usually cheaply made and don’t stand the gruelling punishment you put on them in the gym. They also enclose the entire hand in a festering playground of sweat and bacteria. The body of the product is antibacterial and antimicrobial, and designed to be open, allowing your hands the room to breathe and your fingers to retain their freedom of movement. At the base of the palm you’ll find a section of arch support that will protect your hand from developing painful carpal tunnel issues. The product attaches to your wrist via a secure hook and loop closure and velcro. Additionally, you get the valuable safety feature of being able to drop weights immediately if you need to. Next, if you’re completing a pulling exercise, position your hand so that the lifting bar is between your palm and the gripping portion. Now using your fingertips, fold the end of the product over the weightlifting bar and against your palm. Grab the bar as you would normally grab a weightlifting bar, and start lifting. 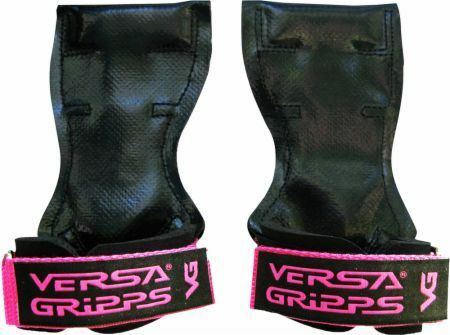 Versa Gripps come in three different styles and several sizes. You’ll want to make sure you get the one that’s right for you. these heavy lifts. So if you do a lot of deadlifts or other very heavy lifts, you might want to consider making the upgrade to the Pro series. The Fit series was designed with women in mind. It’s a little smaller, and narrower with the female bone structure in mind. It’s also very important that you order the correctly sized product for your wrist. Use measuring tape to take a measurement around the bony portion of your wrist, then go to the style you’re interested in purchasing and reference the measuring chart to determine what size to order. When you get your product it will be a little loose in the wrist, remember that this is intentional the product is not supposed to fit tightly on your wrist. It should simply be secure. 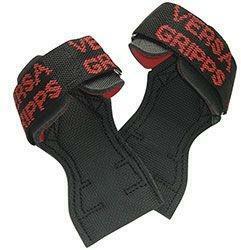 On this page you’ll find a comparison of the difference online stores that sell Versa Gripps. As with most other products you should definitely buy them alone as online stores can offer a far more competitive price than your neighborhood sporting goods store. This price comparison lets you get the best possible price on your order without having to find and compare them yourself. Sign up for future Versa Gripps news! Click the button below to sign up for future Versa Gripps news, deals, coupons, and reviews! 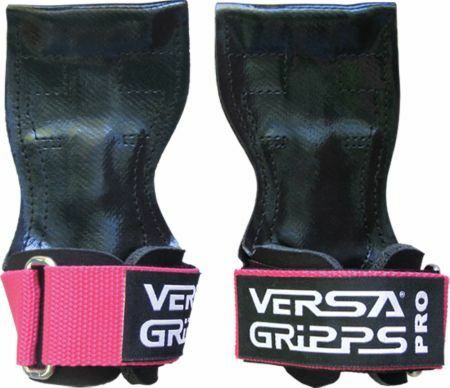 Subscribe for more Versa Gripps news and alerts! Subscribe to PricePlow on YouTube or click the button below to sign up for our latest Versa Gripps news and reviews! Build Muscle with Improved Isolation!